Some new tools and some new services are only suited for a brief introduction but are not any less useful than others. Today, I’ve collected five of those designer topics you shouldn’t miss. 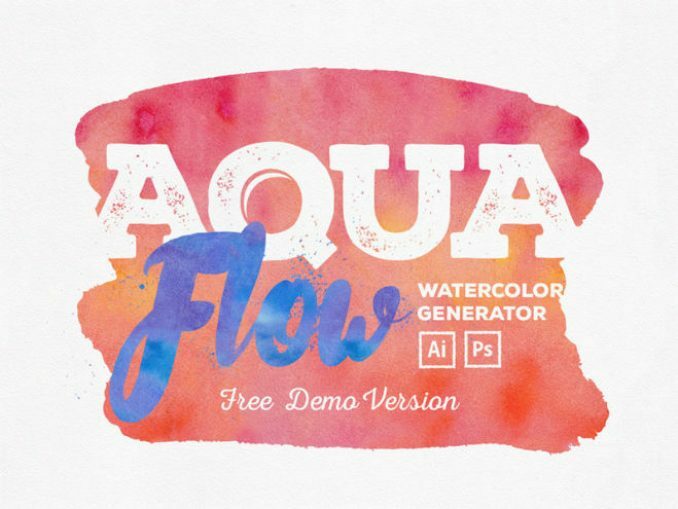 Tatiana Lapina provides a free version of her Aquaflow Toolkit on Dribble. The download and distribution of the 90 MB large tool are done via Gumroad. Here, you enter an email address, and a purchase price of 0 dollars. The download starts subsequently. The toolkit contains a bunch of brushes, patterns, shapes, textures, layer styles, and symbols for Adobe Photoshop and Illustrator. Don’t get irritated by the auxiliary “demo.” There is a paid variant of the toolkit, available for 18 dollars. However, this contains about ten times the amount of resources. The only limitation of the demo is that it contains far fewer elements. The website “Dumb Questions for Smart Designers” delivers exactly what it promises to. Here, designers are interviewed. In general, this is not a bad idea. However, for the most part, these interviews consist of weird questions like “If you had to come up with a slogan for raw oysters, what would it be?”. To my surprise, a lot of the interviewees gave very smart answers, possibly inspiring creative thinkers more than they would when giving “normal” interviews. On the information cards of each book, you’ll find the respective release date, language, number of pages, the author, as well as a brief content description. All for free. On IconsDB.com, you’ll currently find 4,040 different icons. 2,586 of the available pictograms require no attribution at all, and can freely be used in private, and commercial projects, including the use for clients. 1,454 of them require attribution. Aside from that, these icons are freely usable as well. All of the symbols are flat design icons and can be downloaded in any color, as long as you know its hex-value. On top of that, the operators also created 36 sets with all 4,040 icons in each of them. Here, they used color gradients, textures, or bicolor concepts, to set the sets apart from each other. Selfcare.tech: Take Care of Yourself! The developer Jennifer Lyn Parsons experienced something that she calls a wake-up call; that told her that she didn’t take care of herself enough. She looked around and found out that in the fast paced web-world, it is common to focus on oneself last. 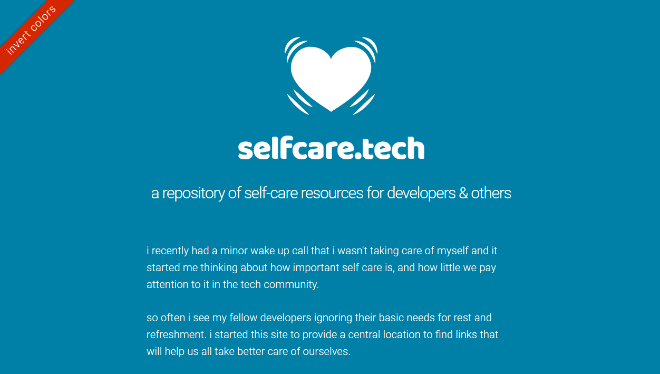 On Selfcare.tech, Jennifer collects resources that can help developers, and others, to focus a bit more on themselves. This includes links to meditations, fitness, speeches, podcasts, and more. 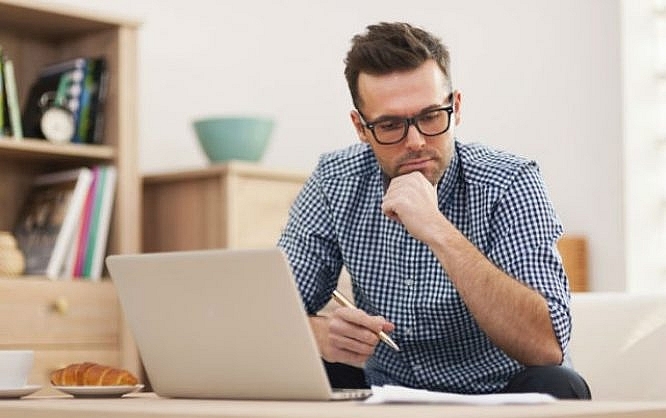 Overall, the project is a good starting point for everyone who has noticed the vital need to protect their performance capability. I found some exclusive items and great inspiration from this post. Highly recommended,Love this designers topic. hell guide thanks for this awesome post …. 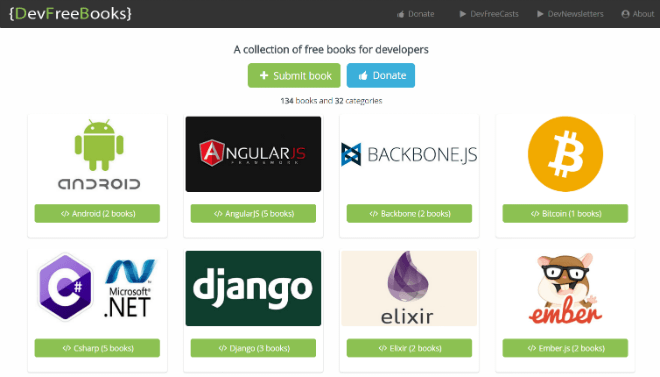 Wow, if some features really free at these topics than it awsome. Already found many useful things, thanks.